Tax is our world. We live and breathe it and always find the most tax-efficient – and legal – solutions for our clients, that’s a given. Film partnerships do not generally figure in the tech and biotech niche we inhabit, but they’ve caught our attention in the press recently, so here’s our view. 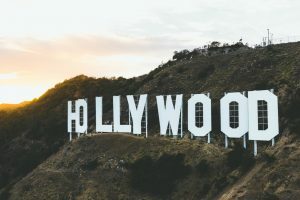 Film tax relief schemes have seen increasing media attention since they were introduced in 1992 by the UK Government to encourage investment and, therefore, growth in the British film and TV industry. Actively promoted by wealth managers, the incentive has paid off and has met the original aim of substantially increasing investment within the industry. Films such as Avatar, Die Hard 4 and Life of Pi have been successfully funded. Unfortunately, an unintended consequence of the scheme has been millions of pounds in lost revenue by a small number of tax avoidance promoters. The diagram below illustrates the key features of these schemes, although there were numerous variations. In essence, the investor was a partner in an LLP, which always made tax losses. The partner’s share of the tax losses was much greater than the cash they invested and these losses were intended to be deducted against their taxable income. Whether these schemes ultimately resulted in usable tax losses for investors was originally cast into doubt by the First Tier Tribunal (FTT) conclusion in the Eclipse Film Partners (No. 35) LLP v HMRC case. HMRC argued that Eclipse 35 had never carried on a trade with a view to profit, and therefore the tax losses did not arise. The FTT ruled that the scheme had been specifically structured to create a tax relief for the investors, and the investors were therefore denied the tax relief. Eclipse 35 appealed the decision, but all appeals were refused, ultimately by the Supreme Court. When these schemes have been successfully challenged in the courts, the tax loss relief has been denied. New rules have also provided the ability for HMRC to deny the tax relief while waiting for the court hearing. 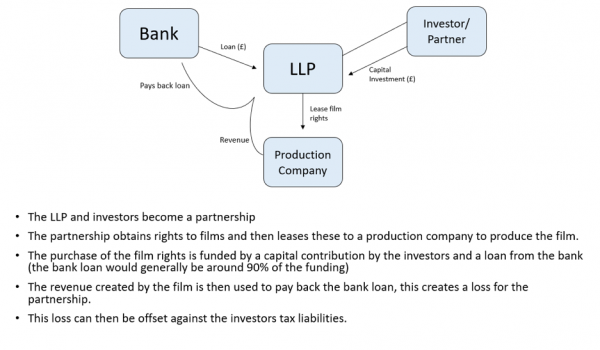 Worse still, income received by an LLP from the film production company was used to repay the loan part of the investment and was never actually received by the investor, so the investor is at risk of being liable to income tax on money that they never actually received. The warning signs were present in these schemes from the outset for those who chose to look – investing for failure not success, paying tax advisor fees on a percentage of tax saving basis and taking a tax deduction that was worth more than the cash invested. At Confluence Tax we have never been involved in these kinds of schemes. Avoiding a collision between the complexity of the tax system and a fast-growing company is hard enough. We still debate and challenge received wisdom and the UK tax authorities, but always within the spirit of the law. Most disappointing of all is the lack of tax promoters who are destitute or in prison. Their actions have led to increasing amounts of anti-avoidance, which is a drag on the development of genuine businesses and products of the future. Read more about what Services Confluence Tax offers.